With a reputation for quality and reliability, Seltzer’s Smokehouse Meats has emerged as the leading producer of this regional specialty. And as the world’s largest producer, the company regularly distributes Lebanon Bologna nationwide. The Seltzer family “secret” Lebanon Bologna recipe starts with fresh, premium quality, lean beef. After the addition of a special blend of savory spices and seasonings, the bologna is naturally smoked in outdoor wooden smokehouses and slow-cured over hand-tended hardwood fires. 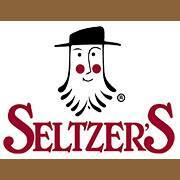 Seltzer’s was the first federally-inspected Lebanon bologna company. And today, it’s one of the oldest continually USDA-inspected operations in the United States.